LAB SERIES SKINCARE FOR MEN MAX LS Power V Instant Eye Lift 15ml, a moisturising eye treatment for men, to tighten and firm the eye area. Designed to five different actions to tighten, firm, smoothe and defying the signs of gravity to reveal a more youthful appearance to your eye contour. Reducing the look of lines, wrinkles, and crow’s feet. The Molecular Age-Less Complex and LS Power V Technology harnesses the power of naturally-derived extracts to extend the lifespan of youthful skin cells, thus slowing down the ageing process around the eyes. Instantly tightening the skin around your eyes, creating a brighter look, day after day. 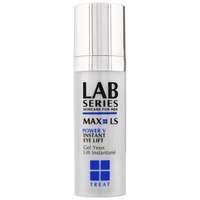 LAB SERIES SKINCARE FOR MEN MAX LS Power V Instant Eye Lift 15ml was found on 5 websites and was price compared using EAN: 0022548382219. 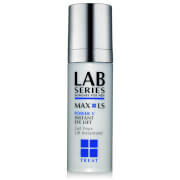 The cheapest LAB SERIES SKINCARE FOR MEN MAX LS Power V Instant Eye Lift 15ml is shown as the main item, prices range from £0 to £43.00, excluding delivery. Price comparison based on price and delivery charges, with any valid discount codes being applied, is shown in the table above. Prices and information correct at the time of publication.